I will be able to explain dispersion, diffraction and interference patterns in light. I can calculate the work function from a graphical representation. 1. Work on pressure project. 1. Today we will discuss our field trip to the University. 2. Go over likes/dislikes from the field trip. 3. Go over Let's DO science for next week. 3. Lab demo for dispersion, diffraction and interference patterns. 2. Discussion on photoelectric effect. 1. Go over an example of the photoelectric effect/work function graph and the calculations. 2. Assign practice work for photoelectric effect. Today was our free day or translated for our girls "shopping"! Not sure how much money they are bringing back, but they sure found a lot of stuff. I was even tricked by fancy marketing and bought some shirts for my boys! Here are some crazy cats! Notice the boy they picked up? Brave soul for shopping with us. 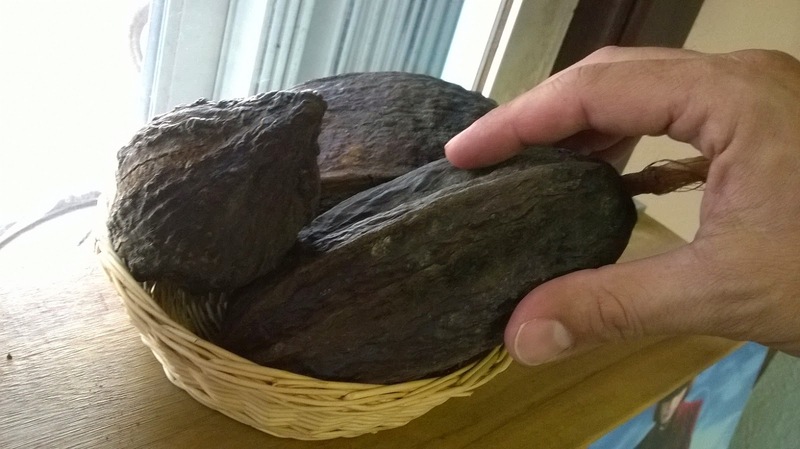 Cacao pods, or for the rest of you. Chocolate! One last pose before we leave! After shopping we had a nice supper with some great entertainment. The waiters showed the girls a bunch of tricks that probably resulted in the most learning for the entire trip. I'm not sure Evelyn knows exactly what she's holding !?! Tomorrow we pack up and are traveling by 5:30. I probably won't post much, but I might have some time in Houston, depending on customs. Cross your fingers it goes smoothly! 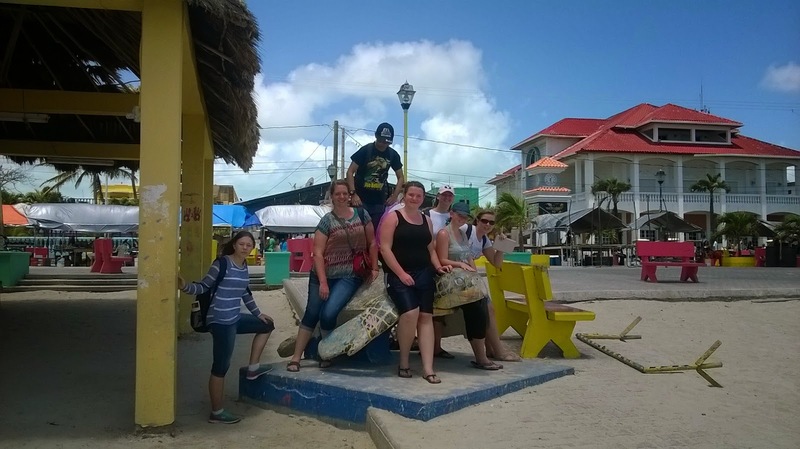 Good by Belize. You were unbelizeable! Well two people in our group decided that they wanted to do the sea trek and headed out in the afternoon to enjoy some more time in the ocean. They both thought it was awesome and had a great time. Here are a few pictures from their experience. Today was our big water day and the day I was most looking forward too. For land lovers like us Albertans, this was a chance to get our feet wet and see what the ocean is really about. I loved every minute of it and I think the girls did to. You can ask them when they get home in a couple of days. Almost done! A combination of happy and sad I suspect. Well, to highlight what it was like, here are some pictures of the day. I think for a lot of the girls, the turtles were their favorite animal to see. I personally liked the rays. You could swim up and touch them! They felt like slimy rubber. Notice the goggle marks? Sweet eh? One of the many corral species we saw. Look still smiling after a week with 7 women! 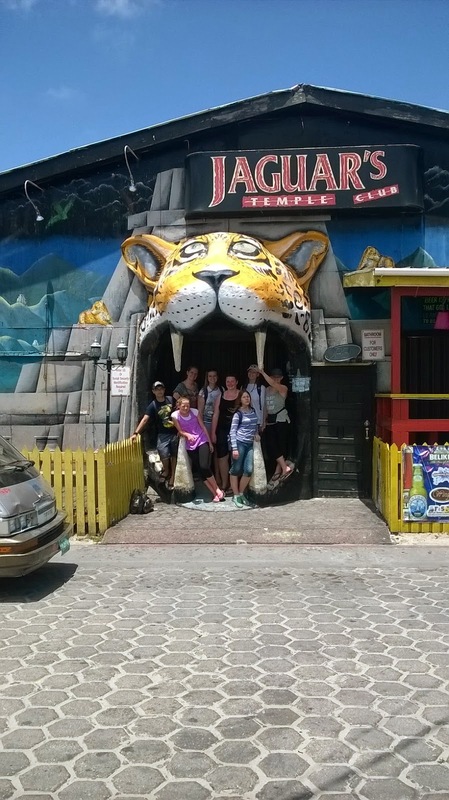 Day 6: Jaguars, Tapirs, Baboons oh my! Alright, today I get to talk about myself. Today I climbed a coconut tree, ate termites and got peed on by a Tapir. My Belize bucket list is now complete! On a serious note, today we visited the Belize zoo, a representation of the animals of Belize. I think the Jaguar was pretty cool, but I'm sure everyone had their favorite. After the zoo we went to a baboon sanctuary. While short, it did provide a great opportunity to get up and close to some Howler monkeys. After that we were off to catch our water taxi and said goodbye to our bus driver Wilbur. After a long but fast boat ride we were on the Island. So far, it's looking pretty nice. Tomorrow should be an excellent day! Today we were visiting another ancient Mayan ruin, Xunantunich. 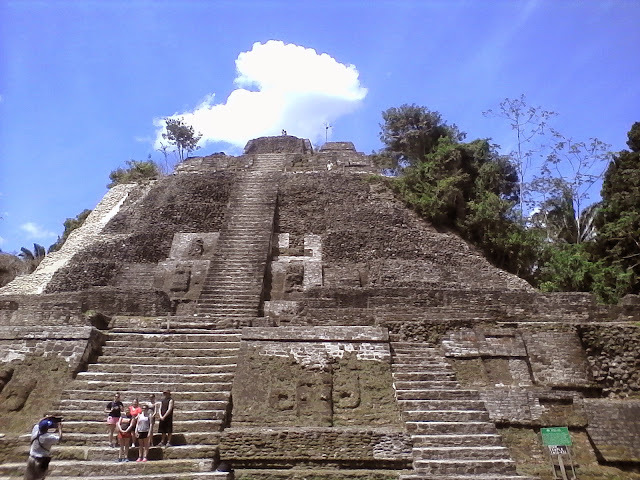 This site had a huge main temple, the second highest building in all of Belize to this day. It was amazing to walk though all that history that dates back to 250 BC. All the kids put in a solid effort and climbed to the top of El Castillo. If you look closely you can see them at the top, the small specs! After these amazing ruins, we headed to a conservation area, known for their butterfly sanctuary the blue Belize morphs butterfly. While the kids were checking out the smaller stuff, I was fascinated by the birds that could be seen around us. Lastly we visited a local school. Even though most of the kids were on Easter break as well, we found several that made the trip worthwhile. I think some of the kids found this to be their favorite stop of the day. Tomorrow we leave the mainland and head to the cage. Pretty excited myself for this part of the trip. 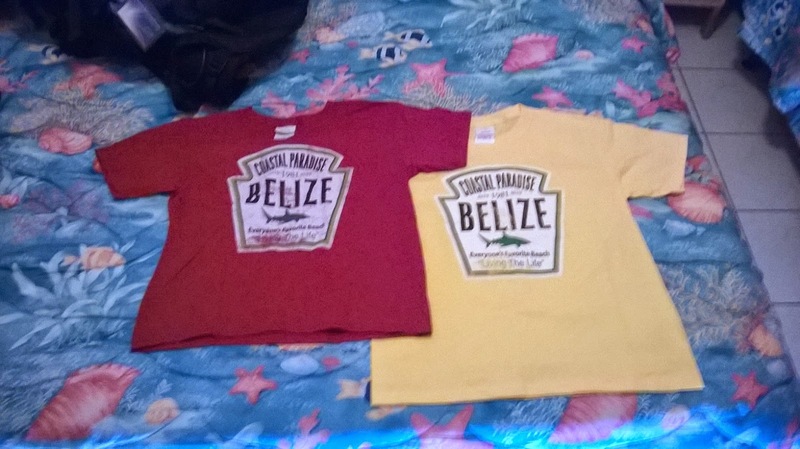 You Betta Belize it! Today was the action packed day filled with most of the adventure part of our trip. We started off with a jungle hike through peccary hills park. Our guide showed us how to live off the land and we were eager to participate. Next it was off to do the cave tubing. We were all hot so the water was a refreshing idea at this point in the day. Well the water was definitely cool and refreshing! The cave was also a pretty awesome feature too. Well that's it for today. Tomorrow we are off to see some more Mayan ruins and visit a local school. Should be another great day in paradise. Got my stupid card reader to work so I thought I would upload a few extra pictures from my camera. Well today was a busy hot day that tired out a few of the kids. We had a 7am breakfast and then hit the road. An hour later we were doing our best attempt at NASCAR on water. 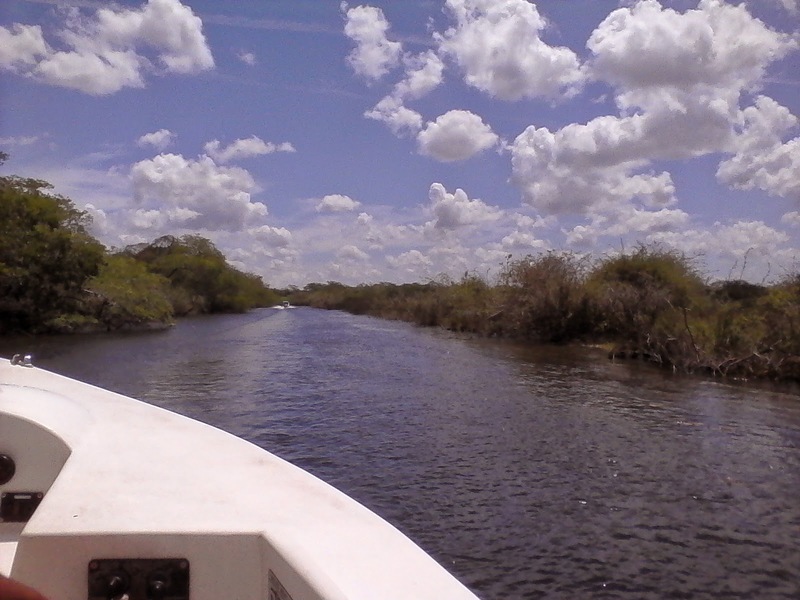 It was a pretty awesome boat ride. After that we toured a cool old sugar mill and then a Mayan ruin that was habituated for 1000 years starting 250BC. The kids are doing super awesome and they are having a good time or are very good at lying to me. I'm going with good times! Day 1: the wheels on the bus.